Scan Your Network. Find & Fix Vulnerabilities. Remain Compliant. It’s do or die out there. Cybersecurity is never the same game. Cybercriminals want what you have—information—and they won’t stop until they get it. The bad guys are always lurking, looking for new ways (or repurposing old ones) to infiltrate your network and take anything that will make them money. It is always imperative to stay one step ahead, managing risk and ensuring compliance. Armor’s vulnerability scanning service puts our clients in control of their network. Keeping them ahead of the next threat through increased visibility, preparedness, and protection. Armor’s service scans internal and external networks for technical vulnerabilities, patching, and compliance issues—providing clients with the ability to mitigate risk and ensure compliance. This vulnerability heads-up can be the difference between an epic cyberbattle success story or a tragedy of Infinity War proportions. Armor’s vulnerability scanning service is powered by our industry-leading threat prevention and response platform, which not only keeps clients secure but gives them access to the Armor management portal (AMP) scanning console. Through AMP, they can manage their scans and vulnerability reports, review past incidents, and continually monitor compliance results to stop threats before they are attacks. The result? 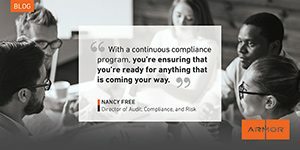 A secure environment that makes compliance easy. The vulnerability scanning service enhances both our Armor Anywhere security-as-a-service (SECaaS) solution and our Armor Complete secure hosting solution, providing end-to-end security and audit-ready compliance across your entire IT environment. Weekly scheduled scans to identify vulnerabilities in your environment, the patches available to address those vulnerabilities and track your progress towards overall environment health. Ranked views of the vulnerabilities hitting your environment that are categorized by CVSS score and criticality. Help your teams prioritize their weekly patching schedules with Armor's weekly vulnerability reports. Get detailed summaries of each vulnerability in your environment. See descriptions, related CVEs, host information on affected endpoints, and solution/patching details. An external vulnerability scan looks for gaps in your network firewalls, where bad guys can get in and wreak havoc. An internal vulnerability scan operates inside your organization’s firewalls to identify real and potential vulnerabilities in your environment. Offered for publicly available Armor Anywhere-protected instances on an individual request basis through the Armor ticketing system on AMP. Access output and reports on the Armor security dashboard. *The agent performs a “Full Audit without Web Spider” scan. A full network audit, it uses only safe checks, including network-based vulnerabilities, patch/hotfix checking, and application-layer auditing. Shared Responsibility: Who’s in Charge of What? Since installation and management of the service requires collaboration between the client and Armor, the shared responsibility model applies. The following table gives a brief overview of the breakdown. For more detailed information, please download the Armor Vulnerability Scanning datasheet. Spartan is the IT security industry’s leading threat prevention and response platform. 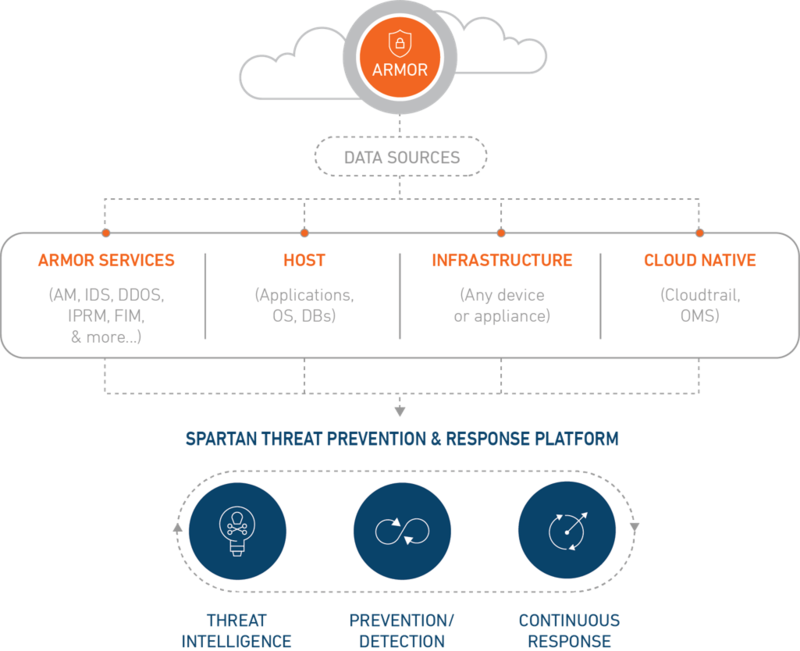 Armor integrates advanced analytics, global threat intelligence, and continuous response capabilities into a single platform that bolsters your defenses, uncovers hidden threats, and prevents security breaches. Whether your sensitive data and workloads are stored in a private, public, or hybrid cloud—or in an on-premise IT environment—Spartan provides a proactive approach to cyberthreats.